Fifty years ago, without any rules, regulations or clients, Bob Penfold launched Australia’s very first guided big game hunting business. 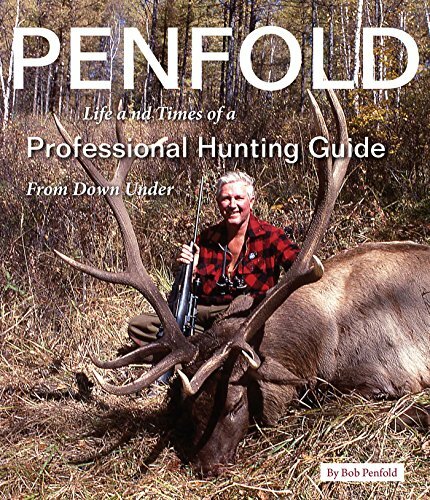 Penfold: Life and Times of a Professional Hunting Guide From Down Under boasts over 350 pages of his South Pacific hunting adventures and photographs as he takes you through his pioneering journey filled with controversy, lawsuits and competition. Just prior to Penfold passing away we managed to secure 85 of the 1000 copies printed for distribution. This rare autobiographical hardback book retails for $99.95 but our special offer to SSAA members who are subscribed to Australian Hunter magazine is $77 posted in Australia.